FRANKFURT -- Sales of Volkswagen brand cars in Germany trailed strong market growth last month in the aftermath of the automaker's emissions-rigging scandal. Industrywide registrations rose 7.7 percent to 247,355, according to data from Germany's KBA motor transport authority. Sales at VW brand, the country's best-selling marque, were up 2.5 percent, well behind big gains at rival brands Ford and Opel. Ford's volume increased by 25 percent last month while Opel sales rose by 15 percent. Ford said in a statement that its new Mondeo midsize model, along with strong sales of its Kuga compact SUV, had helped to drive sales. Opel said in a statement that its new Astra has given the brand a boost. The latest generation of the compact car went on sale in October. VW Group's Audi brand saw sales slip by 6 percent while rival premium brands had gains. BMW sales rose by 13 percent and Mercedes brand's volume was up 1 percent. Skoda, a VW group brand affected by the scandal, sold 2.4 percent more vehicles in Germany last month but Seat saw volume drop by 2.2 percent. Porsche sales dropped 15 percent. • Download PDF file, above right, for German sales by brand for December and 12 months. 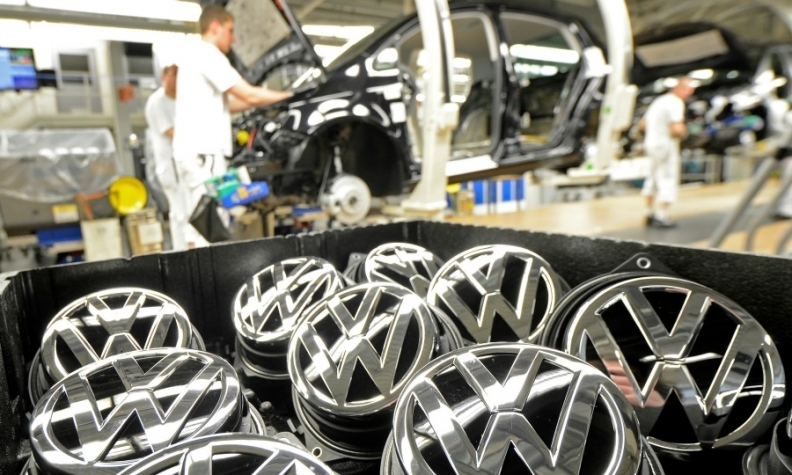 VW said last month it had agreed simple fixes with the KBA for diesel vehicles affected by emissions cheating in Germany that will also implemented on 8.5 million affected vehicles in Europe. Through December, sales of VW-brand vehicles rose 4.4 percent to 685,669, while the overall market grew by 5.6 percent to 3.2 million.